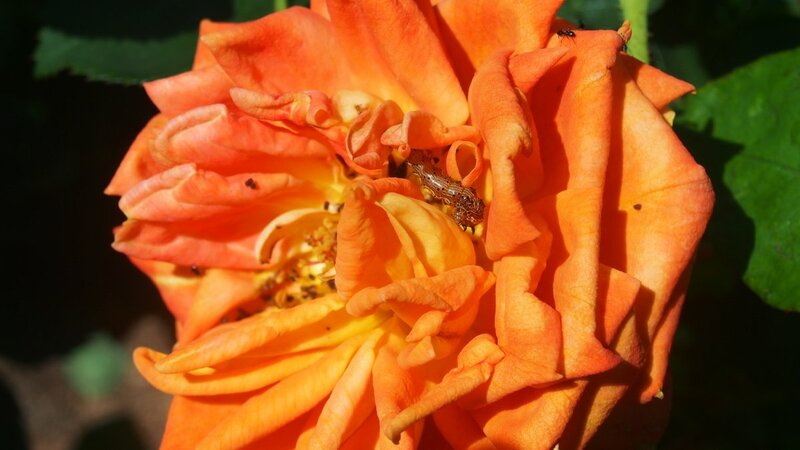 So we’ll leave you with some delightful testimonials along with beautiful rose pictures to relax and inspire you during this Festive Season; there’s also some great information about beetles/bugs and how to ensure your rose garden is well maintained this summer! 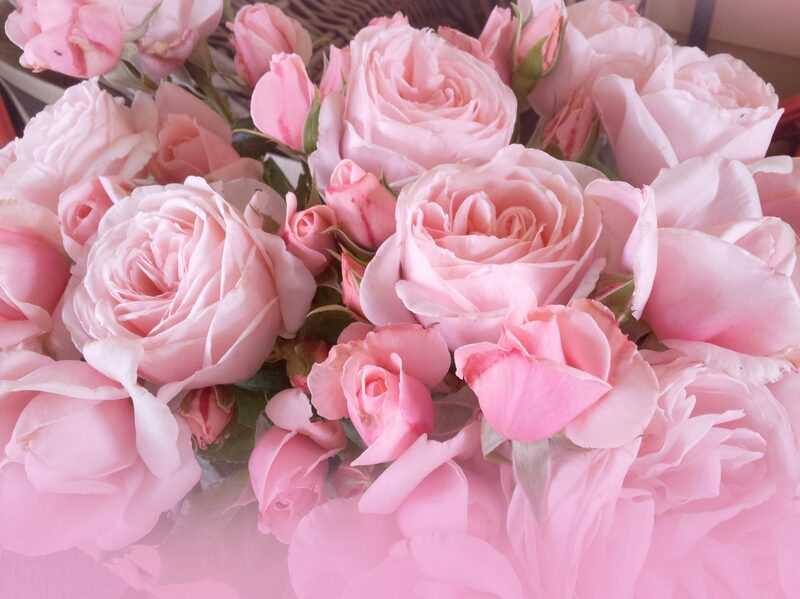 ROSESALESONLINE IS AN OUTSTANDING SUCCESS – If only we could employ our very own personal ‘carrier pigeon’ to deliver your parcels – there have been some unfortunate glitches with AustPost more recently but we press on, knowing you’re reassured by our 100% guarantee and the quality of our roses! “Hi Di – Thank you for your lovely email and all the information, much appreciated. I was reminiscing today whilst dead-heading … my first order with you was Dec 31st 2014 at about 5pm and I remember you saying I was the last order for the year and what a lovely selection I was ordering. My how time has flown!!!!!!!! I truly hope you and yours have a wonderful time over the coming weeks and I’d sincerely like to “THANK YOU” for all the beautiful roses I have accumulated over the past year, along with your never-ending dedication, sense of humour, expertise and of course your always efficient friendly, prompt service. 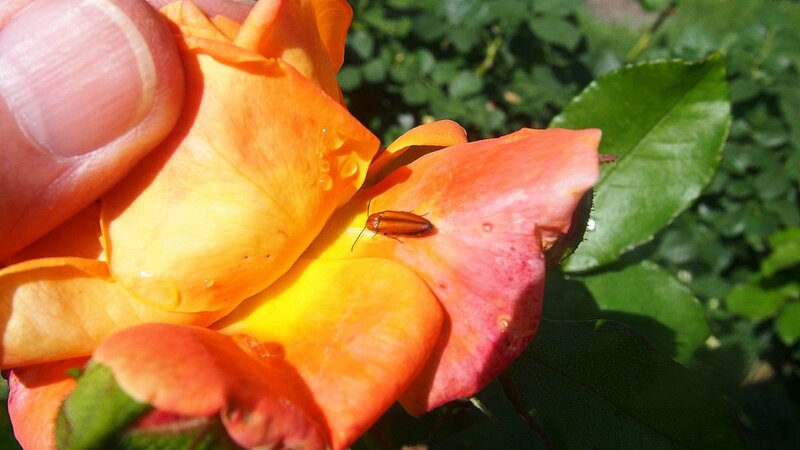 We’ve received ‘HELP PLEASE’ emails from customers who are dealing with a variety of ‘pests’ on the roses so we asked Steve from Organic Crop Protectants (who produce our organic rose management products) to shed some light on the situation – this is great reading, worth printing and keeping in your garden folder for future reference! Q. Did you hear about the little pig with a rash? A. He needed OINKMENT! Please note: During this dialogue, I have put some of my own comments in brackets. “My plan of attack would be to spray with eco-neem. While the label in Australia shows 9 insects (including caterpillars) the overseas label lists more than 200 pests (including various beetles). A rate of 3ml per litre of water would be the way to go and to spray weekly until the problem resolves itself. If you have a very bad outbreak then you could spray every 5 days. I’d also add some eco-oil (at 2ml per litre) in with the solution. This will help the spray stick better on the roses and improve the results. The great thing about eco-neem is there is no known cases of pest insect resistance, it’s safe for good insects (like bees and ladybeetles) plus it’s independently Certified Organic. To conserve water, the first and most important product in your garden is MULCH-MULCH-MULCH!!! We use and highly recommend PEA STRAW as it provides insulation to the soil yet allows water, air and fertilizer to penetrate as it slowly decomposes to create humus which has wonderful water-retaining capacity. You can use lots of other mediums: redgum/eucy mulch, pebbles/stones or any other straw without seeds! 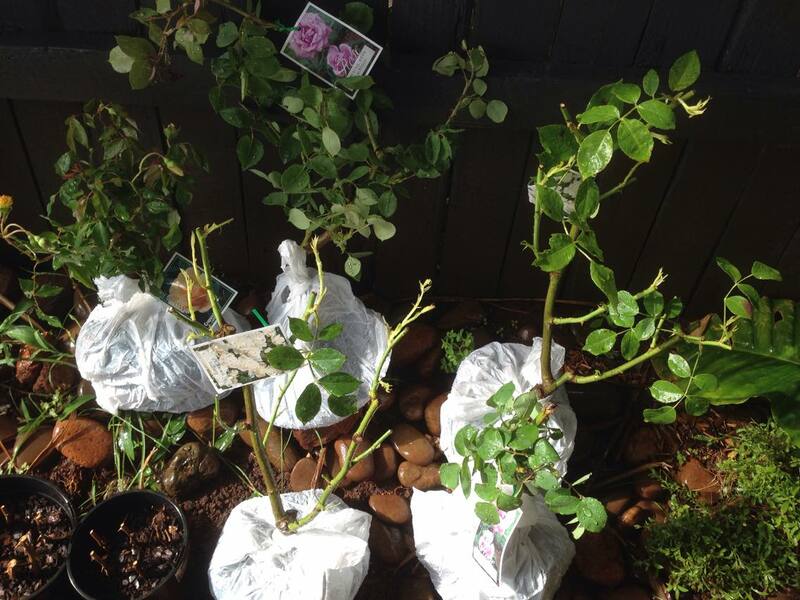 What water you apply to the garden MUST REACH THE ROOTS of the roses – deep soaking with no less than 20 litres per plant, delivered in the same application once a week will force root growth downwards, deep into clay sub-soil. Remember this: IF YOU CANNOT WATER YOUR ROSES, DO NOT FERTILIZE THEM! 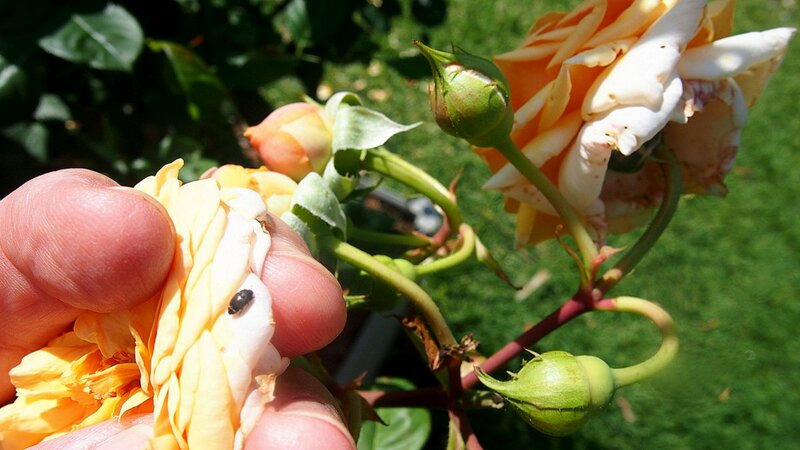 And this: Organic fertilizer is ONLY taken up by the rose WHEN IT NEEDS IT. 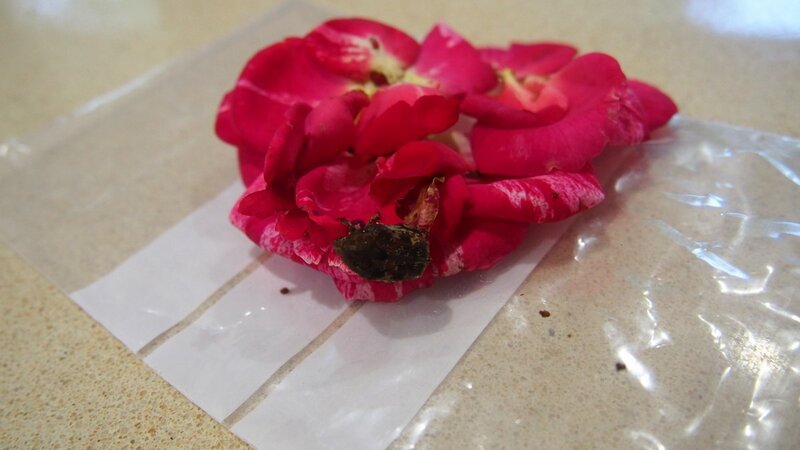 Chemical fertilizer is water soluble so is taken up whether a rose needs it or not! 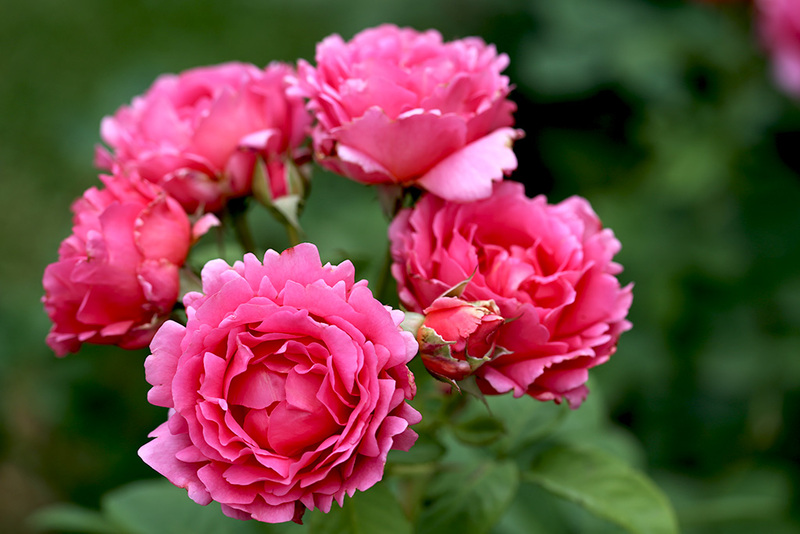 Please know that sharing our knowledge and love of roses every week through this Rose Rambler is enormously pleasurable – the statistics tell us that you enjoy reading our ramblings; Gra’s Garble and jokes make it extra special I know!!! Hello dear rose friends … it’s overwhelming to see how magnificent the potted roses are looking and it is sheer joy to go there and water them every morning – we use it as a time for quiet meditation and love the peaceful moments surrounded by heavenly fragrant roses in every colour, shape and form! 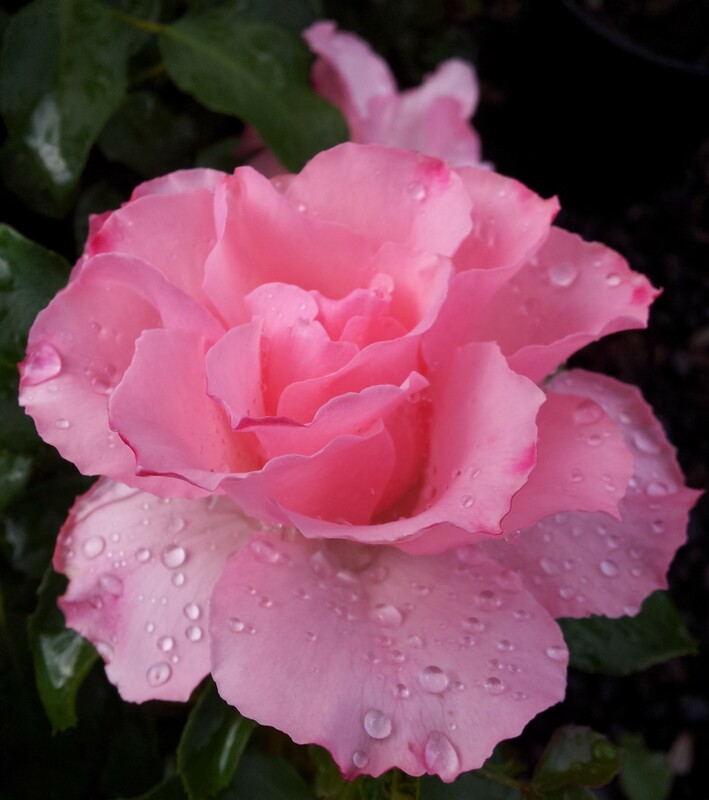 There is no doubt about it, roses LOVE to be fertilized when they’re doing all this flowering and rather than wait until they’re ‘burnt out’ we highly recommend you fertilize WHILE THEY’RE FLOWERING as this will sustain healthy foliage. 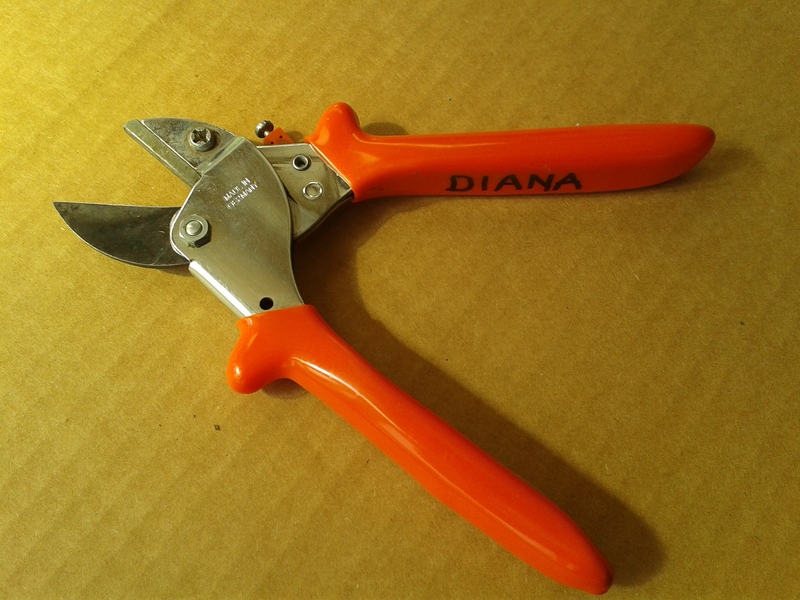 When spent flowers are trimmed, the bush will respond with healthy new foliage and another round of flowers on the trimmed stem within 40-50 days! Surely your garden has a good thick covering of mulch! So, so important to sustain worms, soil microbes and retain what moisture is available! Foliage is plentiful, thick and highly disease resistant. Semi-double flowers are borne on long, strong canes with several to a head and look stunning in a vase as they slowly open and hold well. 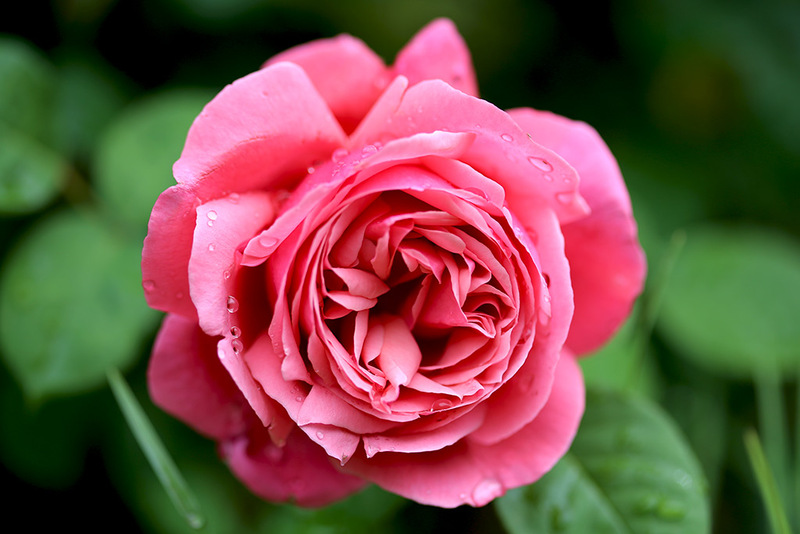 Mid-pink colour is quite distinct and highlighted by crimson stamens – an extremely healthy, hardy rose. The health and flowering ability of this beautiful shrub rose has to be seen to be believed! 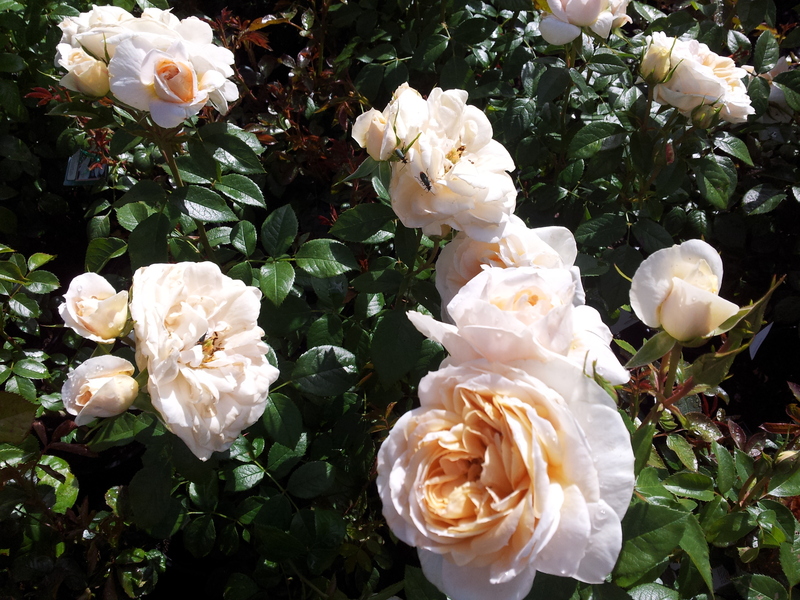 Lightly fragrant, fully double, creamy white blooms with an apricot eye produced in clusters which hold well in a vase. Glossy, dark green foliage is highly disease-resistant. 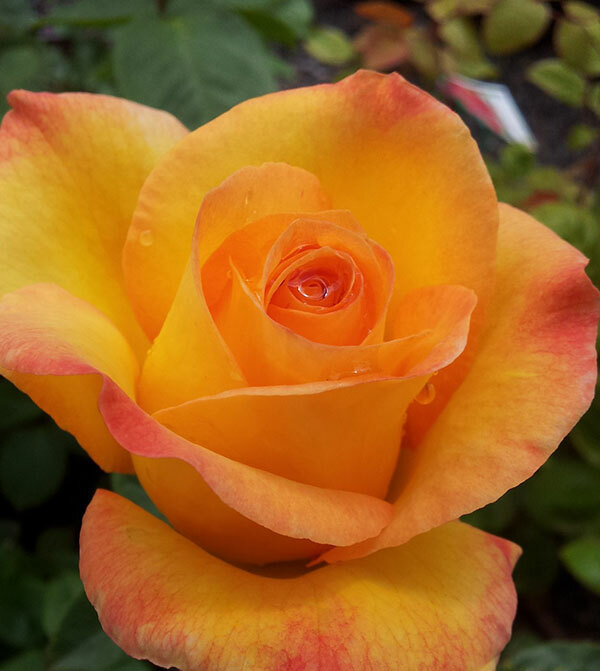 An exceptional Hybrid Tea rose which produces a proliferation of perfectly formed, subtly fragrant, large flowers with blends of apricot/pink/yellow and a splash of red bordering each petal – stunning in a vase. 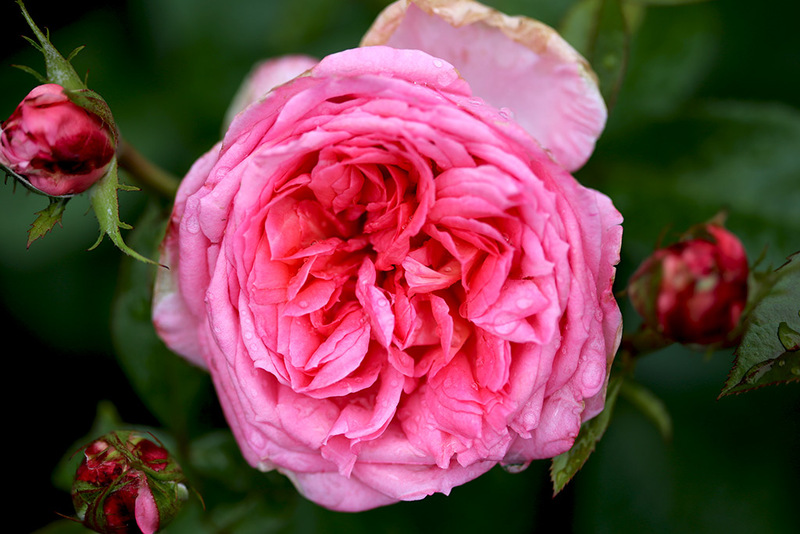 Magnificently showy rose which is always reliable and highly recommended. And because Australia Post are inundated and going slow, we’re closing www.rosesalesonline.com.au NEXT THURSDAY, 17TH DECEMBER so get your orders in NOW. All rose parcels are now being sent EXPRESS POST and this won’t necessarily GUARANTEE your parcel will arrive within 24 hours but it will have a way better chance of being delivered in optimum time than when it is delivered without EXPRESS POST labelling. This great offer is AVAILABLE at the Rose Farm too but you MUST ask for it … our Rose Rambler subscribers are SPECIAL CUSTOMERS – remember the CODE: HAPPYCUSTOMER15 to be eligible for 15% off all purchases! One more Rose Rambler to go … talk to you next week but meantime, if you live close, do pop into the Rose Farm, it’s absolutely beautiful here right now! HAPPY 6TH BIRTHDAY TODAY to our very cheery, ‘know all about gardening’ grandson, COOPER who is an excellent pruner already and is featured with his wheelbarrow in my book: ALL ABOUT ROSES! Hello dear rose friends … we celebrated Graham’s birthday on Monday down in the front garden pruning away the devastation of a severe frost which occurred here the previous Friday morning – yes, minus 3 degrees frost on 27th November! We participate monthly as presenters on 3CR Garden Show talk-back radio in Melbourne and it was ME calling in on Sunday morning for advice from Pam, Stephen and the panel on how to deal with recovering different varieties of plants which, by Sunday, we could see were not going to recover without intervention – what to do? Our orientalal lilliums won’t flower this season, potatoes will recover, so will the dahlias; buddleia will flower later – all affected plants needed to be trimmed and it was recommended we fertilize and deep-water the garden beds – seaweed solution would be beneficial but we had already done that! So, how did the roses fare? We trimmed them on Monday too but today, nearly a week later, we have done a complete summer prune of all the roses in the front garden because the buds which were frozen indicated they were not going to flower and there were new shoots producing below the frost damage … so interesting! My CLEMATIS were unaffected with only slight burning at the edge of flowers – they do make me smile at their toughness while so many gardeners are shy of them! PENSTEMONS sagged a bit but have pressed on and recovered without trimming. New shoots on several of the oak trees are burned; we won’t have flowers this season on any of the CREPE MYRTLE down in the front garden but the driveway plants were spared – thank goodness! There you go, we’ve lived in this garden for 16 years and NEVER had such a late frost! What it means is that our garden will be ‘different’ through summer and autumn because we’ve had to prune heavily ‘out of season’ but it will survive and the difference will be lovely to witness and record for experience! With all the variable weather, we’ve been maintaining regular applications of our organic management spray program which will guarantee lush, healthy foliage on our potted roses – interestingly, none of them was affected by frost – fair to say the nursery is on ‘higher ground’ than the front, south-facing garden but the potted roses are getting fortnightly applications of seaweed solution so they’re more pampered! Q. What is the easiest way to double your money? A. Put it in front of a mirror! – I managed to capture some photos. And PARFUM DE PARIS is the bloom machine. Please let us make your Christmas gifting an easy but more importantly, most rewarding experience this year. 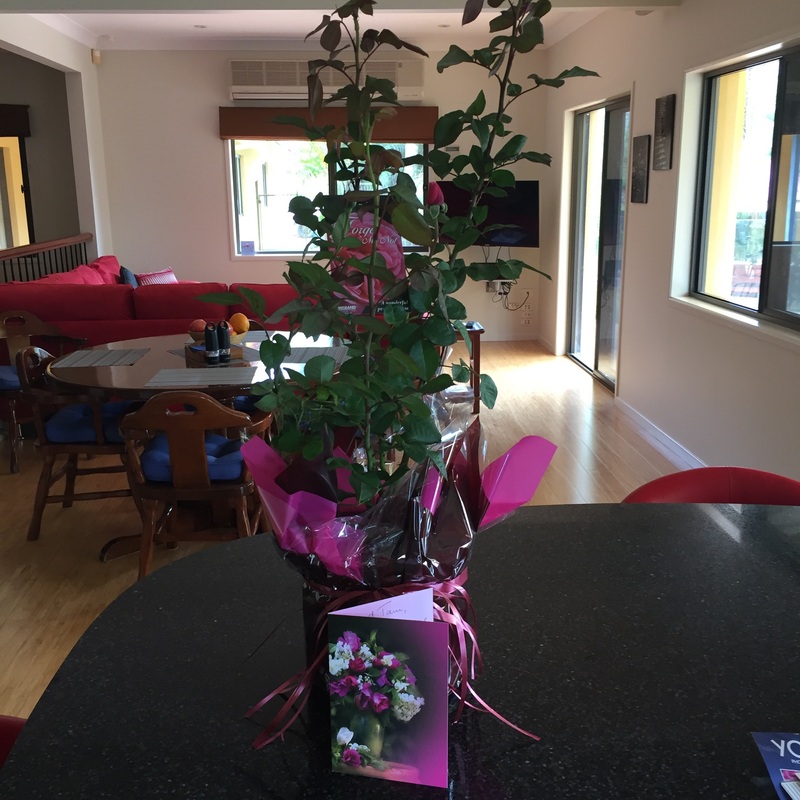 Any rose of your choice can be selected and posted as a GIFT ROSE – if you’re not sure which rose to send, why not purchase a GIFT VOUCHER which can be sent directly to the recipient so they can select their own roses – online shopping made super easy at www.rosesalesonline.com.au – gift vouchers! Please be reminded that we will continue to post roses until 17th December to ensure your gift rose arrives on time and then we will close the nursery from Monday, 21st December and re-open on Friday, 8th January – online orders will continue to be processed throughout the holiday period for books and products – roses will be posted AFTER 8th January!